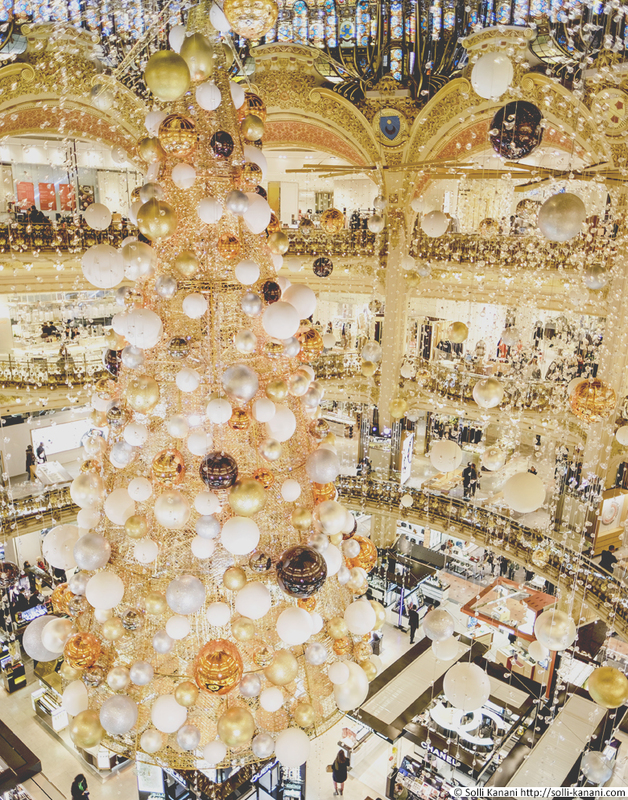 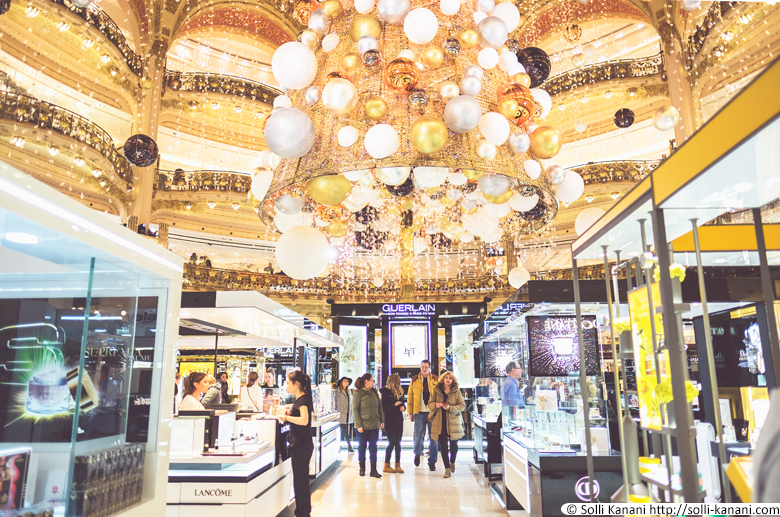 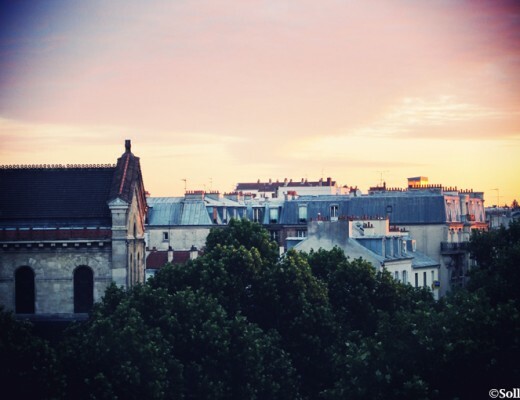 It is always a part of the Christmas tradition in Paris, for 50 years department stores such as Galeries Lafayette, Printemps, Le Bon Marché and BHV decorates their vitrinas creating their own fairy-tale world which is a must-see by Parisians and all tourists. 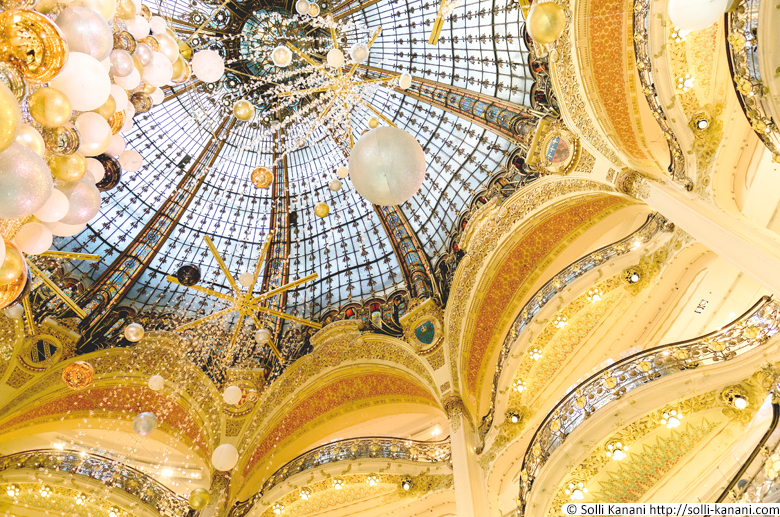 With animated puppets and light shows they compete with each other, and Galeries Lafayette goes beyond, with its giant Christmas Tree, always with a unique and very original decoration every year, hangs Under the 100 year old Art-Nouveau dome for people to admire fr November to January. 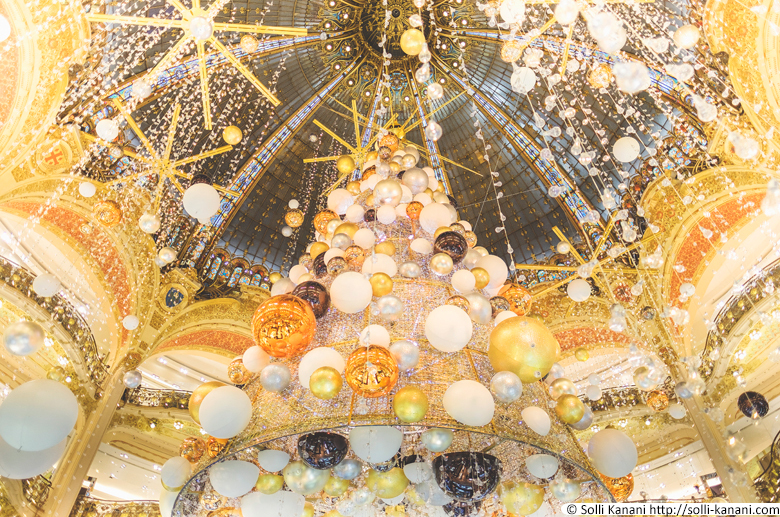 This year the Christmas Tree at Galeries Lafayette was made out of gold and silver meteors under a cosmic cloud, welcome to the Milky Way!